When I was invited to the screening of the movie Room, I did not think it is going to be that emotional and inspiring. Based on the best-selling Emma Donoghue novel with same name, the story brings a lot of questions and breaks your heart. The movie is not presented as criminal thriller with revenge outcome but rather shows regular people feelings in a horrifying story. The whole family suffer for many years, mother who lost her teen daughter and does not know what happened to her. The daughter, who kidnapped and gave birth to a child, forced to live in a small garden shed with a little child without any connection and possibility to leave that room. I cannot compare the movie to the novel, since for me the film came first and I can tell you that it is really good. In the world of the child Jack (Jacob Tremblay) there are only four walls and three people: Ma, him and Old Nick. The 5 year boy loves his mother and thinks the world ends outside the walls. He and his mother (Brie Larson) often discuss what is real and what is not. Once a little mouse shows up and Jack was so impressed to see another live creature in the Room. Jacks mother does everything to keep Jack healthy and happy; they exercise, learn and play together. Their special bond between mother and son is strong, as Jack is the only one who keeps his mother from losing her mind and gives inspiration to live. After Old Nick lost his job and was not able to find one for six months making his property about to be foreclosed, Jack’s mother decides to get her son out, pretending he is dead. The boy was smart enough to ask for help when out and tells the police where his mom is locked. First time out Jack realizes that there is much more in this world than the Room he grew up in. Ma and Jack are on the way to live with grandparents, the happiness and relief of getting back mixed with the challenges to adjust to the new environment. Emotional stress is for both, Jack with absolutely new things around, and mother who is trying to connect somehow to the old new environment of her own home. I can only imagine how difficult for both is to fit a new life. For a while I had a feeling that Jack misses the Room and wants to get back because it is his world and who he really is. He and his mom even visit the Room after the investigation, just to say bye to all things which were their world for five years. Another thing is breastfeeding that was a part of Jack’s Room life and when they settle at grandma’s house, this connection between mother and son comes to the end. There are lots of ups and downs in getting back for Jack’s mother and new life for the boy. The story of captivity is not over yet, you are always judged by others if you did everything right. When the reporter questions Jack’s mother if she did everything possible to save and protect her son, she just cannot bear it anymore. After the suicidal attempt when Jack saves her mother they promise that never leave each other. Parent’s love is so enormous and powerful. 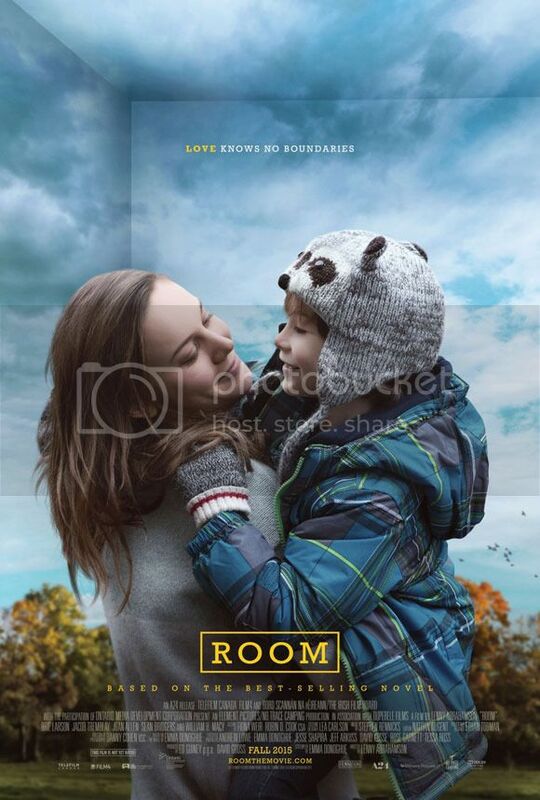 The movie is now playing in theatres, have to mention that The Room won the prestigious Audience Choice Award at TIFF 2015 and was shot in Toronto.